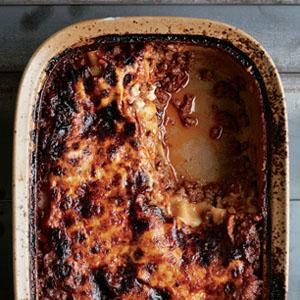 'This is great family cooking: inviting, achievable and simply delicious.' 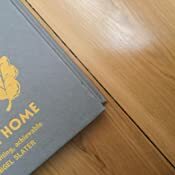 Nigel Slater'This book is full of ideas, enthusiasm, flavour - and heart.' Nigella Lawson'A wonderful collection of everyday home-cooked meals.' 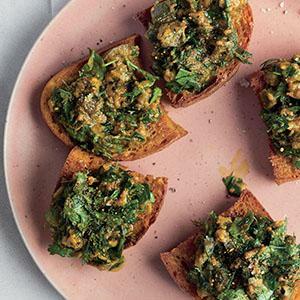 Jamie OliverBring love and deliciousness into your kitchen. Start reading Downtime: Deliciousness at Home on your Kindle in under a minute. 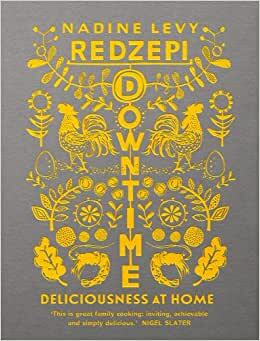 Downtime is a collection of accessible but original and relaxed home cooking recipes with a creative edge from Nadine Redzepi, wife of Noma's world-respected chef-patron, Rene Redzepi. 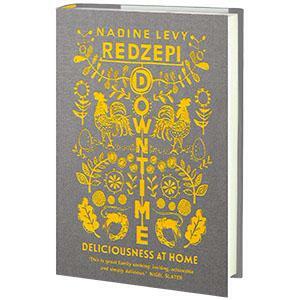 Nadine Levy Redzepi is an enthusiastic home cook, a mother of three daughters, and has spent most of her adult life working with her husband Rene Redzepi, chef-patron of the multi-award-winning restaurant Noma. 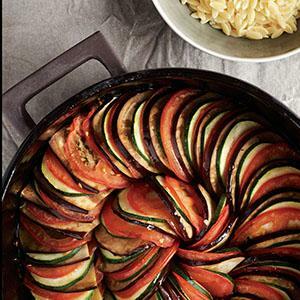 Cook for guests as you would for family. Treat your family like company. 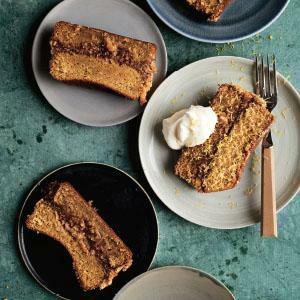 Turmeric-fried Bread with Herbed Aubergine. 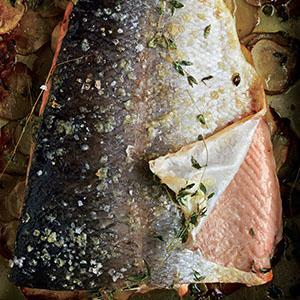 Baked Salmon with Thyme and Potatoes. Book is great but delivery in padded postbag is disappointing with dented edges on the hardcover. It was much better when books were sent in cardboard boxes that protected the edges. The pictures are excellent and the recipes easy to follow. A completely new take on the age old question " what shall we make for dinner', exciting new spins on traditional meals and inspiration for even the most jaded of evening cooks. I wasn't sure what to expect out of this cookbook- I ordered it out of curiosity more than anything else. Because Amazon doesn't have a Look Inside feature at the time of this review posting, I'm including the index so people can see what kind of dishes Downtime includes. The book itself is beautifully designed, with a sturdy cover and nice, big font. The pages lay flat pretty well and every recipe is accompanied by a photo of the finished dish. 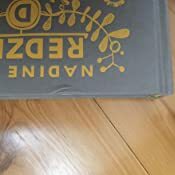 Unfortunately, the big font means that many recipes run over several pages, with the ingredients listed on one page and then you'll need to flip the page to see the directions. Nadine opted for a recipe writing style I really appreciate, with notes to the reader written in italics after certain steps (e.g. Don't use a whisk for this step because cheese tends to clump to the whisk). This is like having a good friend who's also a brilliant home chef in the kitchen with you as you cook (and it's always nice to know the why behind the method). --This cookbook includes a huge amount of variety, culled from chefs who were visiting the Redzepis as well as Nadine's own background. There are a lot of good, easy to execute at home, simple but full of flavor dishes here, from Indian style curries to Japanese omelets to Scandinavian porridge to a French-style macaron cake. --The backstory for each recipe is usually just a paragraph or so, but gives a little insight into the origin of the recipe and how easy/kid friendly/etc you can expect it to be. So far I have tried the kale & mushroom carbonara (which is genius) and the quinoa and crispy onion salad. Both were delicious and required relatively minimal effort/time. I am really excited to try the macaron cake and will update as I make more from this lovely cookbook. 5.0 out of 5 starsGreat easy recipes with a twist. I love this cookbook! 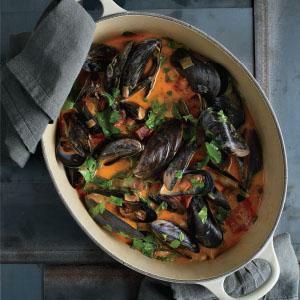 It has great recipes that you can make with things you probably already have in your cupboard. The authors husband is one of the best chefs in the world. These are her go-to home recipes. The recipes don't have a hundred ingredients. It's simple but looks fancy. I made the Avacado Freezer Cake...it was a delicious warm weather dessert that keeps in the freezer. It tastes like a lemon cheesecake with a twist. I can't wait to try another recipe. Pictures are beautiful. I really love this! I read a review and watched a Netflix show about the author recently. I heard she was writing a book and wanted to share with friends. So, I bought 4 copies. I like the recipes because it's something I can follow and make at home. It requires some skills and some skills that I lack; I can compensate using Breville Smart Fryer for making home made potato chip to go with home made hummus. Not so much of a cookbook, but a collection of recipes. The photography is beautiful. Recipes are very well presented and for the most part are not too complicated. I suspect that I'll have to hit Whole Foods for some of the ingredients. I loved her comment that you should treat your family as guests. I will give this book as a gift to friends who cook. Inspirational, if you are used to eating in up scale home type meals, you will like this book.Great pictures, a book to be enjoyed.Warm Potatoes with Greens and Herbs....your own Gyoza,and a recipe for a great cake, called Do-it-all And a big favorite,Mussels with Chorizo, a celbration of big plum,fresh mussels!